ELIZABETH CITY, N.C – As we all know, Super Bowl 50 took place this past weekend and while the Denver Broncos took home the Vince Lombardi Trophy, if you ask us, Jeep was the real winner with their two incredibly moving commercials. Jeep celebrated 75 years with two amazing Super Bowl commercials that debuted during Sunday's game. The two commercials perfectly recognized the brand’s milestone by honoring the past, present, and future of Jeep. Jeep celebrated 75 years with two amazing Super bowl commercials and the first of the two was Portraits. The tag line, “We don’t make Jeep, you do,” summarizes the mood of the commercial. The Jeep life is all about about the community of fans and followers that live for what the brand stands for, adventure. 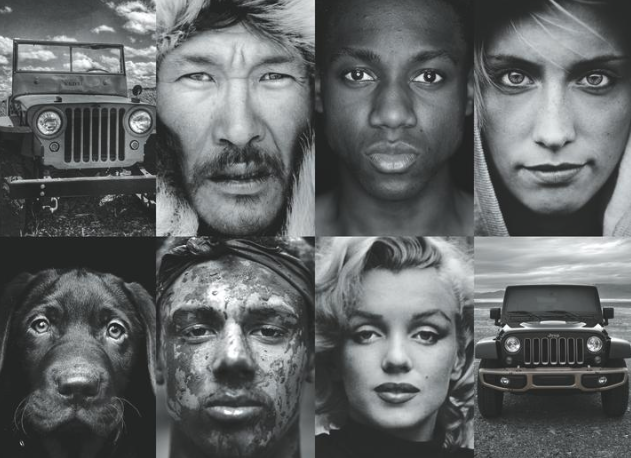 In the slideshow viewers will see the many faces that have molded the Jeep brand since 1941 including our courageous soldiers of the past and adventurers of the present. Also highlighted, are some iconic faces like Marilyn Monroe, Aretha Franklin, and Steve McQueen. You'll also see your favorite movie moments that Jeep has starred, like Jurassic Park and The Terminator. The commercial portrays that owning a Jeep is more than owning a car, it's about what you can do in a Jeep and how you see and feel the things you're experiencing. Overall the commercial does a wonderful job portraying the Jeep’s past and what has made it into the legendary off-road brand that it is today. Since Portraits covers the past, 4x4ever takes Jeep fans to the present and future. 4x4ever is all about what Jeep is founded on, and it’s encouraging present and future Jeep owners to live 4x4 today and tomorrow. Live 4x4ever. Jeep portrays this by calling to all the thrill seekers and travelers that are part of the Jeep community with a music track that was created for the brand by Morgan Dorr. His song inspires Jeep owners to be fearless and open-minded with the idea that blazing the trails with your Renegade or Wrangler is not the only thing the Jeep life is about. The songs make viewers feel inspired that their Jeep can take them on any experience, no matter how big or small. The Jeep can help you start your adventure, but you must finish it. If you’re looking start your own adventure with a new Jeep, check out the 2016 Jeep Wrangler or the 2016 Jeep Compass. They’ll take you anywhere you want to go, and more. Come by Perry Auto Group today for a test drive. Perry Auto Group has two dealership locations to serve you better at 1005 W. Ehringhaus St, Elizabeth City, NC, 27909 or 1001 Halstead Blvd Elizabeth City, NC 27909. Stop in for any of your auto or community needs, or feel free to give us a call at (252) 338-9100.